As the world faces the very difficult task of addressing climate change and global warming, green energy alternatives have taken centre stage. But, what is green energy? Any source of energy that does not release greenhouse gases upon consumption is considered a green energy source. As a tropical nation receiving almost a year-round supply of sunlight, India stands to benefit much by adopting solar energy as an alternative to fossil fuels such as coal, oil, natural gas, etc. 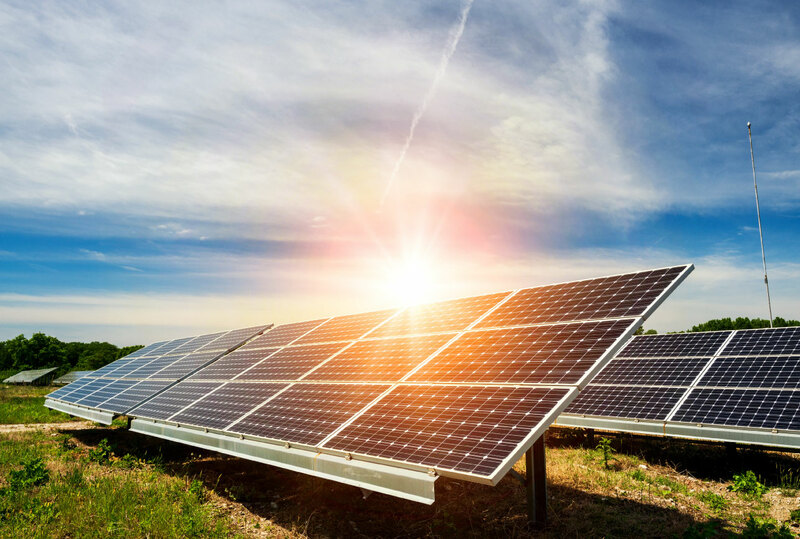 With over 300 clear and sunny days every year, the calculated solar energy potential across India’s total land area is about 5000 trillion kilowatt-hours (kWh) per year. In the same direction, many steps have been taken by the Union Government of India. 1. Since 2009, India has been running a National Solar Mission to augment the solar energy production in the country. It has taken an ambitious challenge of installed capacity of 100 GW through solar energy by 2022. 2. The central government has been running the Grid Connected Rooftop and Small Solar Power Plants Programme. The programme aims to help incentivise homeowners and industry-owners to install solar panels on the rooftops of their buildings. These solar panels will capture the solar energy and reduce the energy demands from their infrastructure. At the same time, the excess energy will be transmitted to the grid for other users. 3. To bring about a global consensus on the adoption of solar energy in favour of using fossil fuels, India has taken a lead in the creation of International Solar Alliance. The Alliance is a coming together of 122 countries that lie within the 2 Tropical lines. The organisation aims to help the member nations in funding, research and development and adoption. Till now, progress has been extremely slow. Only 9 GW of solar energy has been added. Tamil Nadu has led the way, with Gujarat and Rajasthan close behind. The government, having realised the difficulty of achievement of the 100 GW target at the current pace, has put policy measures in place to help the solar sector. These include tax benefits for manufacturers, subsidies for consumers, protection for local manufacturers in view of increasing international competition. 1. Rooftops in India are not big in area and are often uneven in their distribution. Hence, the economies of scale do not work with the installation of solar panels on rooftops. 2. The cost of solar panels and solar battery cells is expensive and prohibitive. This makes them an unviable alternative. 3. The local manufacturers can not compete with much cheaper solar products from international markets, especially China and Malaysia. 4. According to a study, despite receiving sunlight for almost 300 days in the year, monsoons, dust storms, etc mean that only 19% of the sun’s energy gets captured in India (capacity utilisation factor). 5. Some experts argue that the 100 GW target is too ambitious and will only induce the government to fudge numbers. Climate Change is an impending challenge that humanity faces. There is no option with humanity but to abandon the usage of fossil fuels in favour of green alternatives. Solar energy remains the best bet to be this alternative. If India does not create the necessary infrastructure and adopts solar energy, the doom is pending. The Paris Climate Deal is one step in the right direction. However, it is essential to understand that this is just the first step and it is a long journey.